With a real desire to improve the profile and marketing of the practice, the partners were struggling to find the time or resources to do this. They desperately wanted to launch a new website but just didn’t have the time to look at content and manage this process. 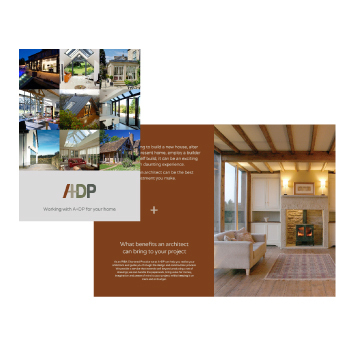 Managing the whole process from start to finish, we created a new brand for A+DP, which more closely reflected the new partnership and direction of the business in a more contemporary way. 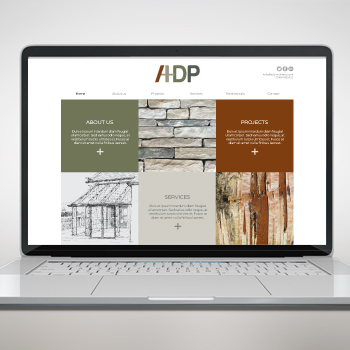 We then created a website and supporting sales material to showcase the great work they did and assist in helping generate more business. We also supported them in delivering email campaigns and setting up their social media to successfully meet these objectives. We are currently helping to drive more ‘specific’ traffic to their website.